The fact that they still haven't found planet X, despite the new theory which predicts with some specificity where it should be, says a lot to me. I've read about a number of models that constrain the possible location of Planet X, and they don't all match up. Unless someone catches sight of it, there are lots of good reasons to be skeptical. Like the fact that the surveys used in the study proposing its existence only checked certain parts of the sky. 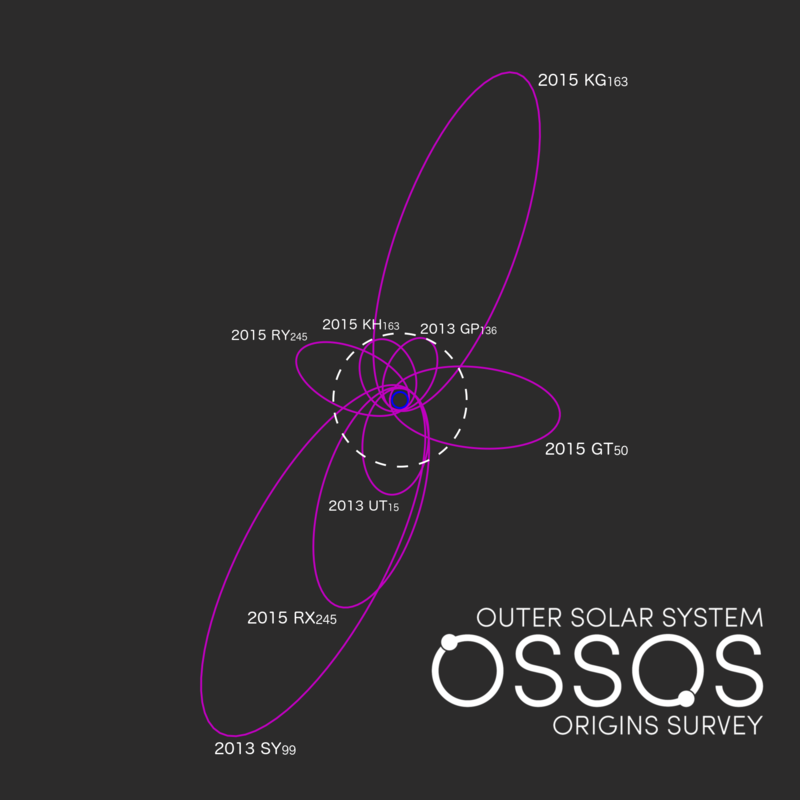 The Outer Solar System Origins Survey found 9 Sedna type objects, and their orbital distribution was consistent with randomness. Not everyone is doing a dedicated search fot planet 9. When the theory was proposed the estimates made for how long it would take to survey the entire probable region of the sky (taking into account how dim it has to be not to have shown up in previous surveys) would take something like two years to finish the entire survey in favorable conditions. Why so long? Because it's dim and the probable location is towards the Milky Way, part of the sky densely populated by stars. So it's not easy to find even if everything goes right. Secondly, the weather seems to have kept the telescope the authors of the theory have been working with stuck under bad weather quite a lot. I forget the details, I think it was in Batygin's last public lecture where it was mentioned, reference to the state of their own survey. So it's definitely not something to easily get your hopes up for, not when you haven't heavily invested yourself in the technical merits of the theory. I'm like Fox Moulder on this prospect myself. From what I've gleaned the objects in the survey are with low perihelia. Low perihelion means scattering by Neptune and the other giant's orbital resonances. The non-random distribution emerges when you take all of the known objects and filter out low-perihelion objects. I can't find the 9 objects you are referring to, can you provide the details on their orbits, what make them Sedna like? The problem with a single aspect counterpoint, there are many counter points to the planet 9 theory. Is that this theory provides solutions to multiple phenomena. 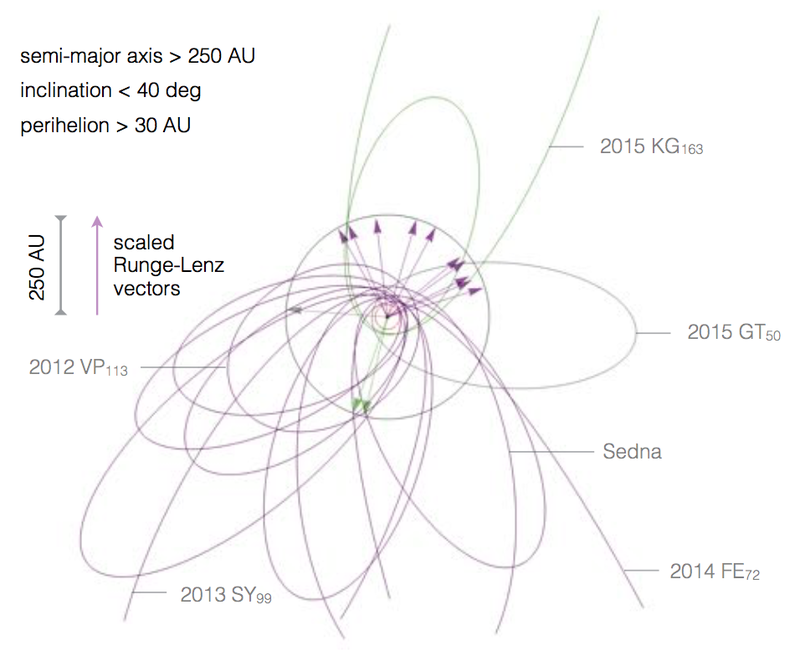 All of the objects found are at around 100 astronomical units distant or closer. The missing planet is likely to be several times further than that. 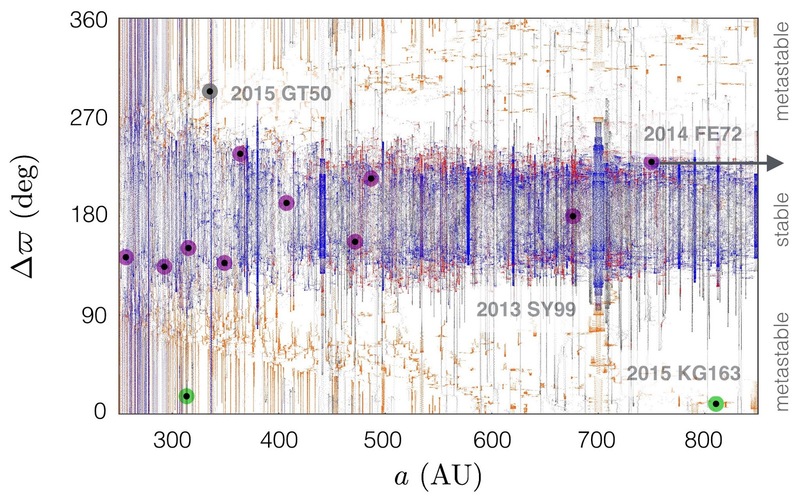 We have still low mass star discoveries unrealized in our data sets probably, if it is in our existing observational data already, it's very difficult to differentiate it from stars. If it's out there it will still take years to find at this point. I found eight of them after a short search and looking through an old interview. This is not a counterpoint theory, this is observational data that contradicts the theory. I'm not going to definitively claim that this hypothetical large planet doesn't exist, and I will admit that my general dislike of Mike Brown, his arrogance and self-centered views on science color my perceptions, but I am not making unfalsifiable claims. When the planet is detected by telescope, I'll graciously accept its existence. Until then, there are lots of reasons why it may not exist. have semi-major axis too small to be correlated with the alined and anti-aligned population. The strong correlation with that resonance shows up at higher semi-major axis orbits. Other resonances show up in other populations. Regardless of that the OSSOS dataset alone is not representative of the whole minor body catalog. It's not really rocket science. When you only look at a certain portion of the sky, it stands to reason that you would find objects in that area of the sky. It also isn't rocket science. Surveys take the biases they are likely to induce into account. The theory correlates to the data we've got to a ridiculously high statistical significance. https://arxiv.org/pdf/1608.08772.pdf Other surveys have no problems finding objects far enough. The theory is consistent with homogenous distribution for non-extremely distant kuyper belt objects. In that aspect Planet 9 theory and OSSOS are in agreement. For semi major axis above 250 objects they don't have an argument to make with the statistically insignificant population they've got. Wait, why is this discussion in the Aerospace thread, didn't we have an Astronomy thread for bumping heads over this? Folks can argue about how probable it is until they are blue in the face, but probability is not proof. Improbable things can and do happen. We won't know for certain whether the thing actually exists until someone finds it. Unfortunately, it's not really possible to prove something doesn't exist, so this argument may continue forever. For now it is a nice theory. The distance wasn't what I was talking about. But its position in our sky in relation to the KBO set used to refine planet X's possible orbit. Further more, this proposed planet is supposed to be quite heavy, several Earth masses at least. This should correspond with a larger size, thus more visibility if its surface composition is similiar to the typical KBO. The first detailed images of Ultima Thule are out. Seems like space still has plenty of surprises, especially when it comes to planet formation. Plenty of surprises left out there I'm sure, but I don't think this is one of them. Dirty reddish snowballs are pretty much exactly what I expected to see in the Kuiper Belt. Still, fascinating to peer into the unknown. An important thing to keep in mind is that so far the measured albedo is between about 6% and 13%. It's as dark as potting soil. The surprising thing for me was the low velocity smooshing together. When I saw that it was elongated, I had assumed that it was stretched out due to spinning. Collisions out that far are expected to be low velocity for the most part. Solar orbital velocities are low to begin with, and there's few if any big heavy objects to scatter objects away from the others they formed with, so they're likely to collide at low speeds with other objects that have similar orbits. Impact speeds will mostly be subsonic (with respect to the speed of sound in ice) and can be very low. An icy object of several Earth masses would probably be more like Titan in appearance, or a small Neptune or Uranus. It'd still be too warm and active to have an airless, old ice surface (even Pluto shows signs of ongoing cryovolcanism). So in addition to being larger, it'd likely have a much higher albedo. That simulation is intense. I kinda wish they would have put timestamps on it so I could see how long each part was. I posted earlier in the thread about the discovery of gigantic x-ray-emitting bubbles extending out of the north and south poles of our galaxy. 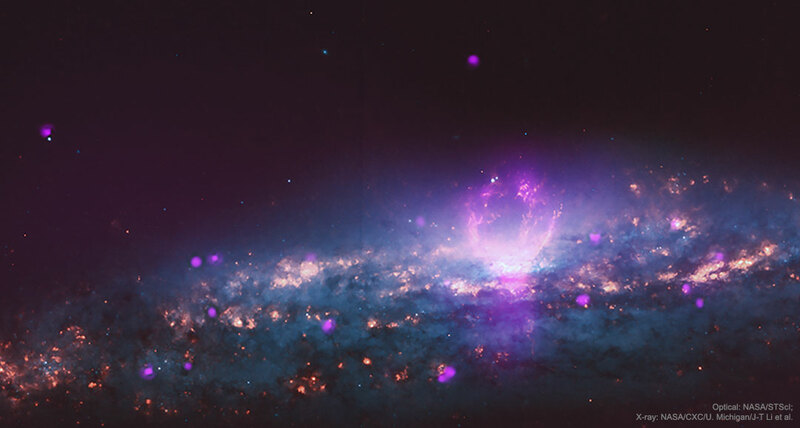 Now an image has been captured of similar bubbles in galaxy NGC 3079. This phenomenon seems to be fairly rare; as I understand it, this galaxy and ours are the only two known examples. According to new findings by ESA Gaia mission combined with Hubble data, apparently the Milky Way's mass is now estimated at 1.5 trillion M☉ which is larger than M31/Andromeda's calculated at 800 billion M☉ last year. Yeah, I imagined our system even smaller, and voyager less far out. Also: forum back online. Yeah! 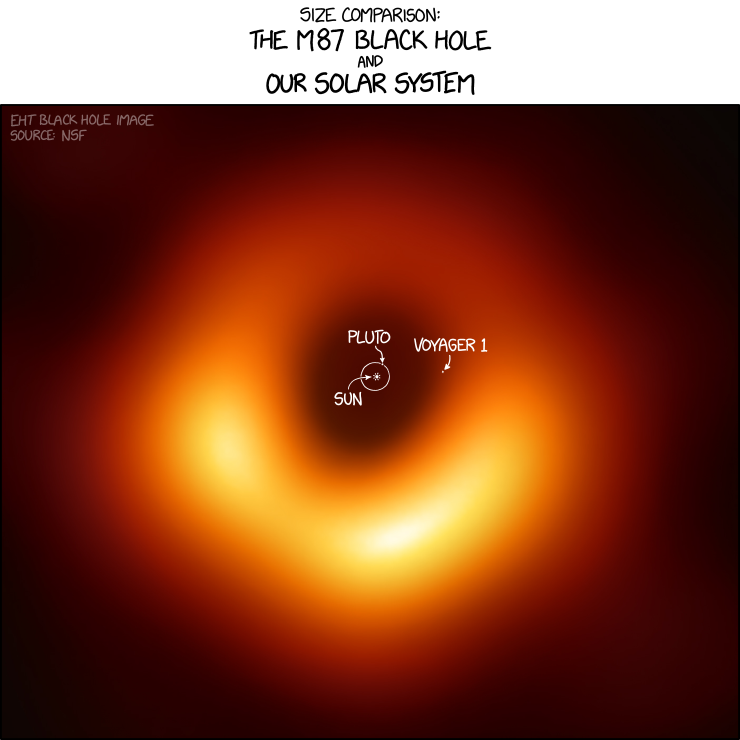 What I'm really excited about is what they can do with the Even Horizon Telescope (the network of radiotelescopes used to capture the M87 black hole data) and other systems like it in the future. Imagine what you can do when you can image objects down to the resolution of a solar system at 50 million light years. A bit like the gravity wave observatories, this marks a new era in astronomy.